Today’s post is all about how you can use podcasts in Spanish to improve your Spanish listening skills… fast! Work. Study. Gym. Kids. Socialising. These days it can sometimes seem like we don’t have any free time to ourselves, let alone enough time to learn a foreign language. It's hard to find the time to be able to sit down and study Spanish. But there are ways to take your Spanish with you on the go and squeeze some valuable learning into even the busiest of days. Podcasts are amazingly useful for learning Spanish because you can listen to them pretty much anywhere, at any time. You can listen to a podcast while you're on the train to work, on the treadmill in the gym, or doing the dishes. It's a great way to improve your language in just a few minutes every day. All you need is your smartphone and a pair of earphones! Even if you've got a very busy schedule, podcasts allow you to take advantage of what would otherwise be ‘dead time' in your day to learn something new. And if you’re learning Spanish you’re in luck because there are a lot of excellent podcasts available to you, most of which are free! How Can Listening To Podcasts Improve My Spanish? Listening to podcasts is a convenient way to immerse yourself in Spanish. Getting lots of exposure to spoken Spanish is an important part of learning the language. It's the hours you put in listening that will ultimately help you to understand native speakers in conversation. And the best way to get lots of that listening practice is… to listen to podcasts as often as possible! Podcasts vary in length from a few minutes to an hour and they cover every topic imaginable. If you like sports, you can find great Spanish podcasts about football, basketball and everything in between! Or, if you’d rather brush up on your Spanish grammar, there are also some great Spanish audio lesson podcasts you can listen to. Whatever you're interested in, there’s probably a podcast about that topic that you can listen to in Spanish. Okay, so aside from maintaining your interest and motivation there are other more tangible benefits too. Let's consider a few of them. As Beginner, you have lots of great podcasts available to you which have been created for learners and use slowed down Spanish and simple sentences. This is exactly what you need to get started listening to the language. Once you reach the intermediate level, your options begin to expand. You'll be able to take on more challenging podcasts with faster speech and a wider range of topics. 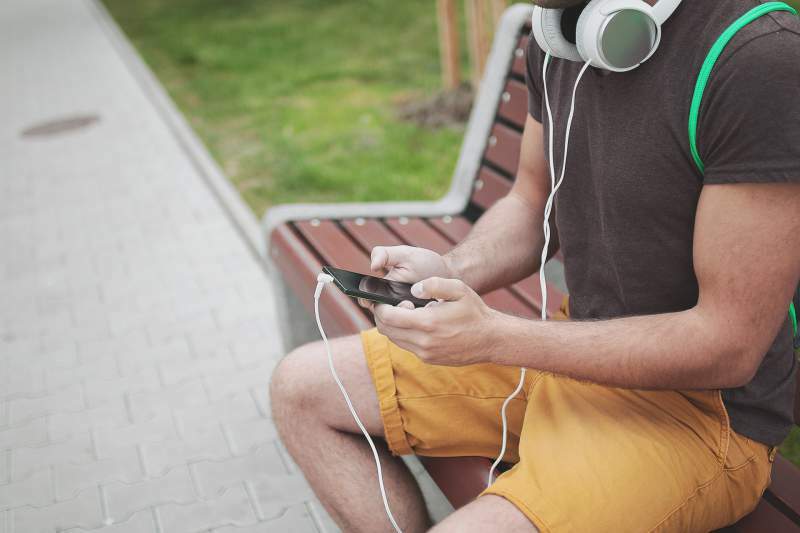 Finally, as an advanced learner, you'll be able to really take advantage of podcasts and maintain your Spanish by listening to interesting native level materials on the go. This is the ultimate way to take yourself from a confident Spanish speaker to someone who regularly gets confused for a native! The secret to improiving your Spanish is to study with material in Spanish that's pitched at just the right level for you. If the material is too hard, you'll feel overwhelmed. If the material is too easy, you'll get bored. You need to look for material pitched just above your current level. Material that you can understand but which still challenges you. I like to call this the “zone of genius”. Study with material in your zone of genius and you'll reap the rewards. Podcasts can be great for this. Of course, there's still the challenge of finding the podcast that is at the perfect level for you. By learning with Spanish podcasts, you'll hear vocabulary and grammar in context, so you can learn how to use the language you already know accurately, while also coming across new language. Most podcasts incorporate authentic language and speakers who speak at a natural speed. Your listening will naturally improve the more you listen as you become comfortable understanding natural speech. One of the main advantages of podcasts is that they're convenient. You can download or stream episodes on your smartphone and listen whenever you want, wherever you want, learning some Spanish while doing so. Podcasts allow you to spend more time with the language because you can listen on the go, in the gym or wherever you may be. All this exposure to the Spanish starts to add up quickly and helps improve much faster than if you would if simply don't listen to podcasts. Why spend more time with your head in a frustrating Spanish grammar book when you could be enjoying your learning time instead? Listening to Spanish podcasts is great fun and leave you motivate to come back and do more “study” time and again! Convinced of the value of podcasts yet? I hope so! 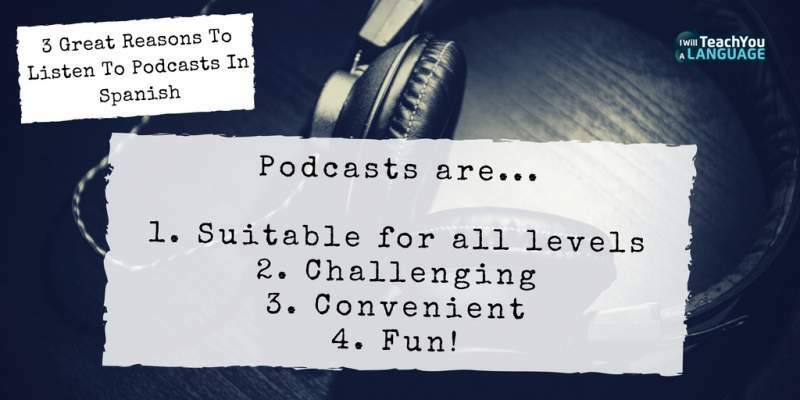 Now you know why podcasts are such a useful learning tool, let's look at some of the best Spanish podcasts for learners. Coffee Break Spanish covers everything you need to learn Spanish, whether you're an absolute beginner or a more experienced learner trying to build your confidence to speak and understand Spanish. The beginner lessons are presented by teacher Mark working with Kara, a student who's learning Spanish – just like you. In the intermediate level episodes, Mark is joined by a native Spanish to dig deeper into the nuts and bolts of the Spanish language. 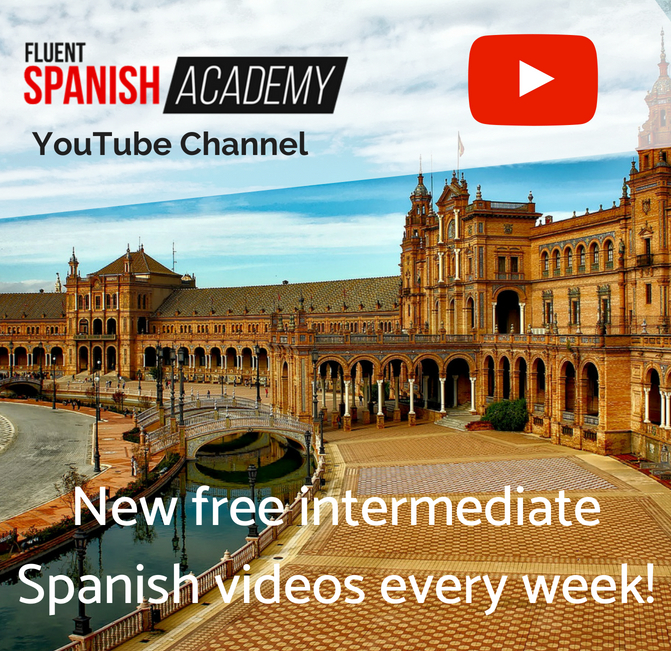 Each episode is just the right length to fit into your coffee break, which is ideal for building a habit of practising your Spanish regularly. If you're at the beginner or intermediate level, this podcasts is a must-listen. Notes in Spanish, just like Coffee Break Spanish, is a podcast designed especially for learners. The hosts, Ben and Marina, will help you learn real Spanish that you won’t find in a textbook through listening to authentic natural conversations and interviews. This podcast is extremely popular with learners and it's easy to see why once you've listened to a few episodes. 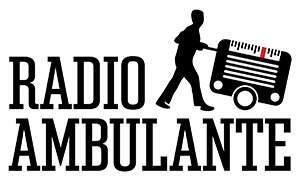 Radio Ambulante is a long-form radio show in the style of stories. Think This American Life (but in Spanish). The stories cover a wide range of interesting topics and stories from all over Latin America, so not only will you hear some amazing stories, you'll hear spoken Spanish from Mexico, Colombia, Perú, Argentina and pretty much every other Latin American country too! New episodes are released regularly, and what’s more, full transcripts are available for ALL shows. The language used may be challenging but through repeated listening, with the transcripts, you'll soon get the gist of what's going on! If you’re interested in the news and current affairs but are freaked out by the native-level speed of most news shows, News in Slow Spanish is a good alternative. 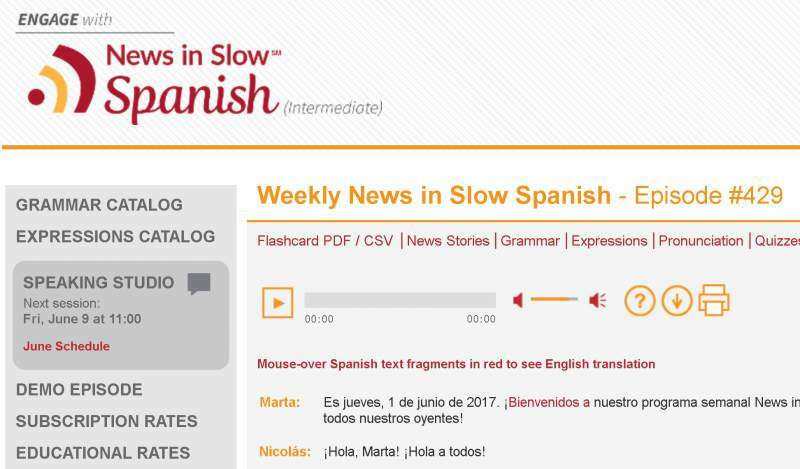 News in Slow Spanish gives you news bulletins read at a much more intelligible speed for learners of Spanish. You can choose from a Spanish or a Latin American stream to suit whichever dialect of Spanish you are focusing on. Basic access is free, however, if you want to use the premium features you do need to pay a subscription fee. Paid subscribers have access to episode transcripts and bonus grammar lessons that are not included in the free version. Spanish Obsessed is another podcast designed with learners in mind. It covers all levels, soou can listen to podcasts for Absolute Beginners (Spanish from Scratch) all the way through to Advanced Spanish. Plus, you'll find full notes and transcripts for over 50 Spanish audio lessons. There is also a blog where you will find tips and tricks for learning Spanish to accompany the podcast. Basic access is free, but if you decide to pay for membership there are options to download all the podcasts and enjoy additional vocabulary and pronunciation courses. SpanishPod101 offers free Spanish audio lessons every week ranging from the Beginner to Advanced levels. The weekly lessons are available free for a certain amount of time before they are archived in the library, which can only be accessed by subscription. Paying members get access to a much larger library of podcast episodes as well as other materials to accompany the podcasts. Each podcast features a dialogue in Spanish, followed by a discussion in English of the main grammar points and new vocabulary. Whether you use the free or paid version, these podcasts are great for listening to interesting conversations from different parts of the Spanish-speaking world. I've written up a full review of the premium version SpanishPod101 here which you can check out if you're interested in finding out more. 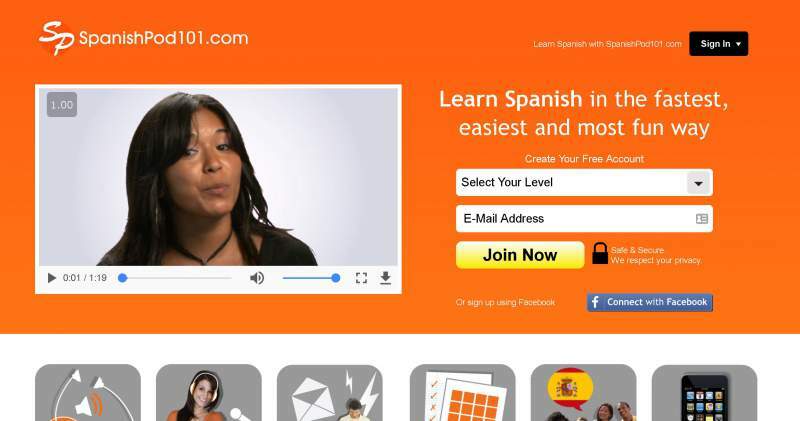 Don’t judge a Spanish audio lesson by its website! Audiria's website may not look like much but it has a tonne to offer, with a new podcast every single day. Each podcast is classified by difficulty so you can be sure the level is right for you. The episodes also accompanied by related exercises and activities to check your comprehension. Best of all, these podcasts really are completely free! If you're looking for a change from lessons but aren't ready for native level podcasts just yet, the Duolingo Spanish Podcast is a great option. It features fascinating stories in easy-to-understand Spanish. This is a dual-language podcast with parts in both English and Spanish. Normally, a narrator with speak in English and provide background to the story. Then the testimonies or stories themselves are told in Spanish. The Spanish in the podcast is spoken slowly and clear so it's easier to understand than full-speed, native podcasts. Each episode comes with a full transcript so you can read along as you listen too! But it does provide a huge library of Spanish audio lessons, stories and conversations you can listen to anytime to improve your Spanish… just like a podcast! All of the material also comes up with transcripts so you can listen and read at the same time! 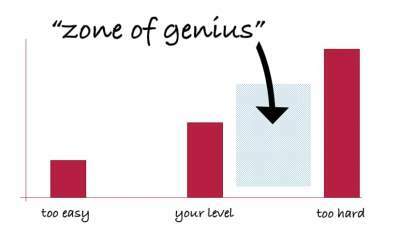 Well, the Fluent Spanish Academy was designed with this “zone of genius” in mind. All of the material here has been carefully created to be in the “zone of genius” of intermediate learners. This means that if you're at the intermediate level in Spanish, the Fluent Spanish Academy material is at exactly the right level to help you improve quickly and finally become fluent in Spanish! If you're interested in finding out more about the Fluent Spanish Academy you can get all the details here. What Are You Waiting For? Time To Get Started! So, there you go… nine of the best podcasts in Spanish to help you on the road to fluency! Now you have no excuse not to practice your Spanish when you have a spare moment whenever you have a free moment! Take your pick from any of these excellent podcasts in Spanish and make your commute to work that much more interesting and productive. What are your favourite podcasts in Spanish? How do you think listening to podcasts can help you improve? Let me know in the comments!